If thought provoking methodical chess like strategy mixed with MOBA champion based gameplay all within the backdrop of a steampunk world sounds like a match made in heaven, than Cliffhanger Production’s latest free to play romp within the MOBA genre might just be for you. Ærena: Clash of Champions sets itself to be different from the monotony of other games within its genre but can it stand out from the rest of the crowd or will it be forgotten within the depths of the Æther? Luckily for Ærena it certainly will stick around. Ærena’s story places you within the shoes of an upcoming sky pilot that sets out to battle for glory and fame by piloting an airship and building the perfect crew that both grow over time as you level and unlock new ways to customize the way you battle. Battling within Ærena will have you duking it out with another airship for control of Æther, a precious resource that your crew and your airship needs to function. The only way to win is by taking out the other airship with your crew. 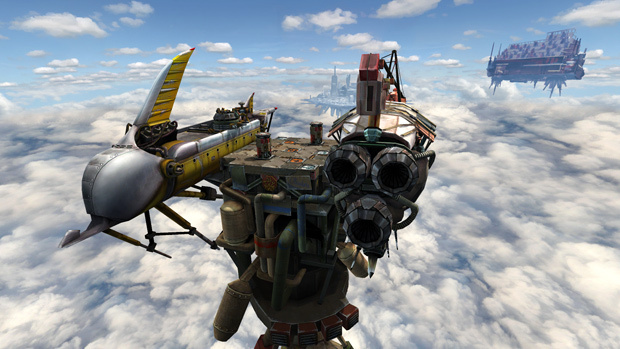 Strategizing your loadout within these battles in Ærena is key to attain victory; players are given the choice of several different airships each with their own perks as well as flaws. Need a ship that has a higher health pool, look no further than the Skybucket. How about a ship that starts with Æther to allow for early game bomb shelling? The Packer is for you. Players also have a selection of up to 5 champions to take into battle. The champions carry a wide diversity of skill kits that set them apart, and each bring their own brand of dread into battle. For instance, Bloody Mary may deal weak damage but can repeatedly pummel her foes from a distance to whittle them down. Crank on the other hand moves at a snail’s pace but can send nearby champions flying back and sometimes even off the map if he gets into range of them. However, only 3 champions may be on the battlefield at one time, leading to some tactical choices of counterplay and opportunity costs. Finally players choose 3 bombshells to take with them into battle as trump cards ranging from bombarding champions directly or offering saving heals to your team. 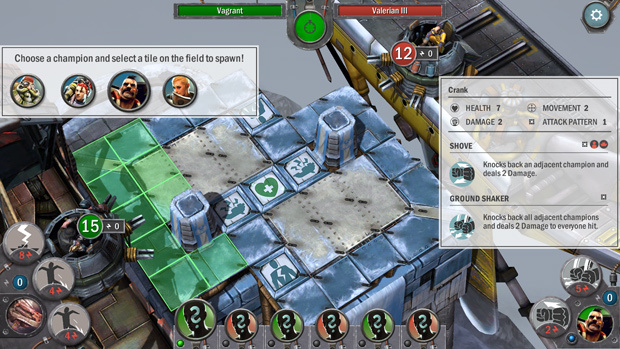 However players will have to manage the resource of Æther to be able to use bombshells as well as champion abilities. Æther grows each turn by fighting or stepping on certain tiles within each arena map (Some tiles even harming or killing your champion!). Conserving Æther to unleash at the right time is imperative to each player’s strategy. When it all comes together, min-maxing your movements, timed attacks, bombshells, and defensive formations, there’s plenty of elements at play in Ærena to separate a novice from a master. If all of that sounds overwhelming fear not, new players are given an easily completed tutorial to get their feet wet with the mechanics of the game, as well as AI with scaling difficulty settings to practice the mechanics with before being thrown into the ring with another human player. Once ready for the real deal, players can fight each other in ranked matches to net League Points. The higher your league score, the higher you are ranked within the current bracket you play in, starting from bronze and going to silver, gold, platinum, diamond and finally Aether-Masters. The more you play, the higher you will climb within the ranks and fight stronger, more deadly opponents and potentially compete to win real prizes much like other games within the genre. Currently Cliffhanger Productions is hosting prizes of up to $1000 dollars for those that compete within the Aether-Masters bracket. Maps and game variants are unfortunately small in terms of selection. Roughly there are a handful of maps that fortunately all feel different in terms of offering different levels of strategy and gameplay within Ærena. 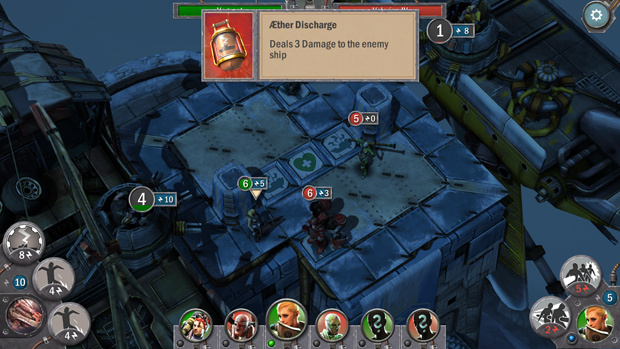 There is only one game variant within Ærena, which is the 1v1 deathmatch where each player competes to destroy the other’s ship using the champions they choose. If you are used to battle arenas that have multiple players on your team competing this might drive you away from the overall experience as this is all Ærena currently offers. Ærena’s visuals are a delight to see. 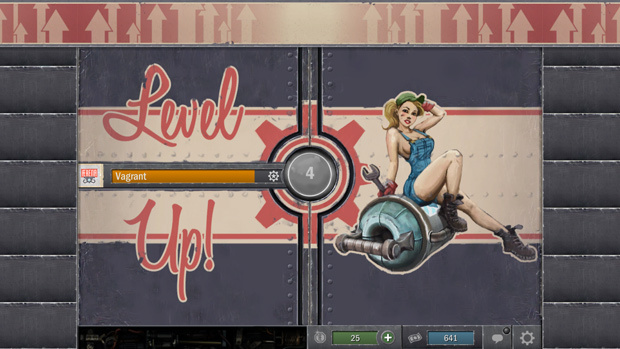 Menus and loading screens are filled with entertaining artwork that adds to the vast steampunk world that Cliffhanger Productions has built, especially each champion’s avatar portrait along with their backstories. 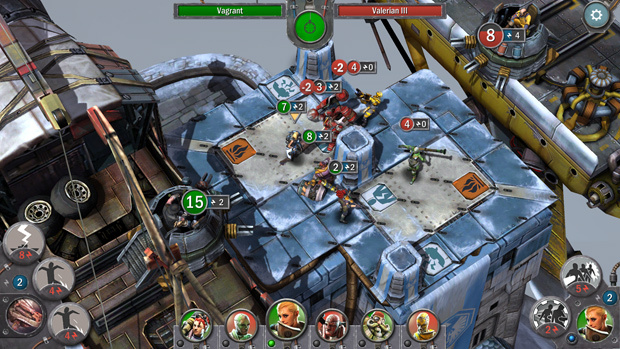 Graphics within the battle scenes are solid as well. 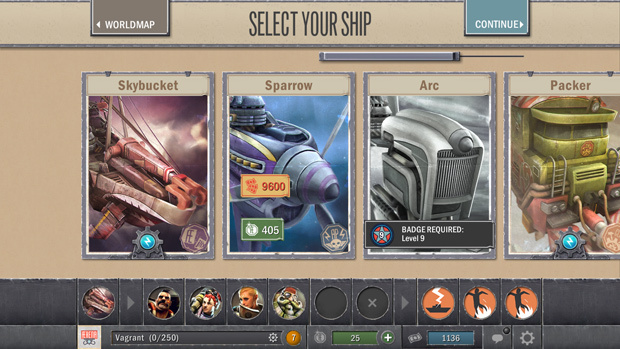 Each champion’s personality is brought to life with well-designed animations while the ships and arena maps are given equal attentiveness in design. 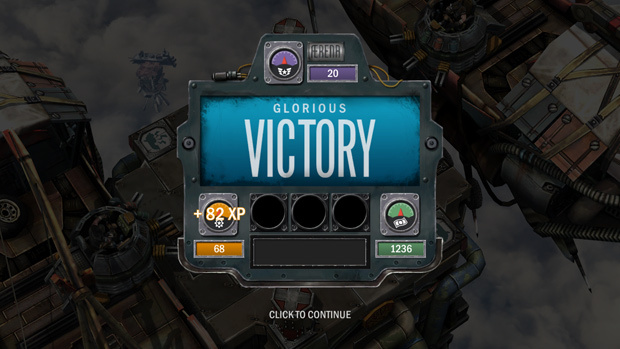 Whether watching a match, or pushing your troops forward, the turn-based gameplay feels satisfying. Unfortunately that’s about where the graphics will stop impressing. Many effects such as gunshots and explosions are bland and overall make combat seem less impactful. For instance Bloody Mary’s large imposing rifle seems to cause no reaction to enemy champions shot by it. Hopefully graphical reactions are added in the future to remedy this. Sound as well as music within Ærena is at best a mixed bag. With the few tracks that are played within the game only one is memorable. It’s strange that the menu music for Ærena is much more upbeat and melodic than the actual battle music which should get you excited and determined. The sound effects within each battle never feel out of place and add to the overall experience, however, the voice of the commentator in each arena can quickly grate upon your patience. Thankfully it can be turned off within the options menu. Like most free to play MOBAs, Ærena features a fully functional cash shop to allow you to spend money if you wish to purchase more champions, bombshells or ships without earning the in game cash. Roughly $10 will net you a champion while upwards of $15 or so will get you a new ship to toy around with while bombshell packs are roughly less than $1 each (Bombshells are however given to players every couple hours or so). Fortunately Cliffhanger Productions prices never seemed too steep as each item mentioned can be earned within a meaningful amount of gameplay. The only problem is the small champion and ship roster, though this is steadily expanding with regular updates. Overall Ærena is a solid MOBA experience especially for new players of the genre. However, it’s hard to recommend with its turn based tactical gameplay that will shy away veterans of the genre, as well its lack of match variation. This does not mean that the game will not win over its own fan base as it does offer a deep combat system within the walls of its slower gameplay, offering a different experience to those looking for something that stands out within the growing genre of battle arenas. 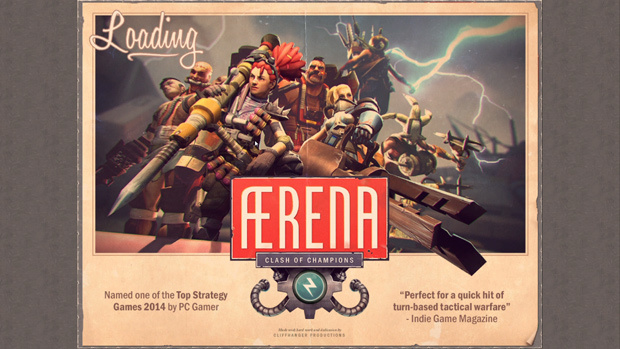 Ærena: Clash of Champions is definitely worth checking out especially since the game is free to play and regularly updated.